We’re still a few months off from the start of the 2018 Epcot International Food & Wine Festival, but Walt Disney World has released the line-up for this year’s Eat to the Beat concert series. The line-up is a great mix of 80s, 90s and early-00s superstars. There are a lot of returning favorites, but there are also five new ones playing the fest this year, including two Christian artists, a first for the festival. Foodies get ready…the 2017 Epcot International Food and Wine Festival starts August 31 at Walt Disney World, celebrating its 22nd year. With 39 new dishes and 65 new cocktails and beverages, the annual festival features 35 marketplaces featuring food and beverage samples representing countries around the world. It’s almost time for the 2017 Epcot International Food and Wine Festival, and we have the full listing of food and beverage that will be available at the marketplaces. Each marketplaces centers on a specific country, featuring dishes native to that country. There are also a couple of marketplaces that group food to a concept, allowing more latitude in the menu. We don’t have prices to share, but based on recent years, most samples will cost between $3-$8 per item. We’re still a few months off from the start of the 21st Epcot International Food & Wine Festival, but Walt Disney World has released the line-up for this year’s Eat to the Beat concert series. The line-up is a great mix of 80s and 90s superstars. There are a lot of returning favorites, but there are also eight new ones playing the fest this year: Wang Chung, BoDeans, Plain White T’s, Jeffrey Osborne, Toad The Wet Sprocket, Living Colour, Soul Asylum, and Delta Rae. 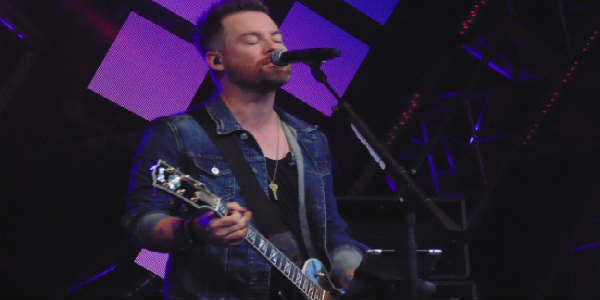 As part of a media day this weekend, I got to take in the first set of David Cook as part of the Epcot International Food & Wine Festival‘s Eat to the Beat concert series. I have to admit I wasn’t that familiar with Cook, though I’d heard a few of his songs on the radio. But this American Idol winner (season 7) definitely turned me into a fan…with only six songs, believe it or not. 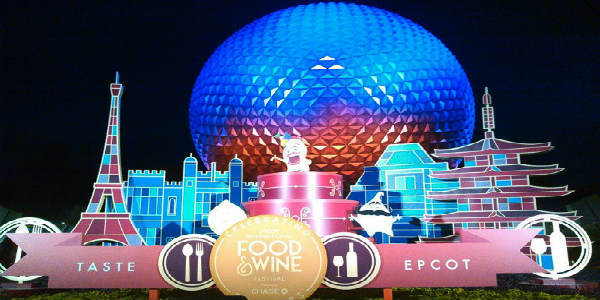 One of the best events at Walt Disney World is the Epcot International Food & Wine Festival, and on September 25, it begins its 20th year of entertaining visitors to Epcot. The 2015 festival, presented by Chase, will welcome celebrity chefs, debut new marketplace tastes from around the world and celebrate guests’ favorite dining traditions through it’s end on November 16. We’re still a few months off from the start of the Epcot International Food & Wine Festival, but Walt Disney World has released the line-up for this year’s Eat to the Beat concert series. This year is the 20th anniversary of the festival, and the line-up is a great mix of 80s and 90s superstars. 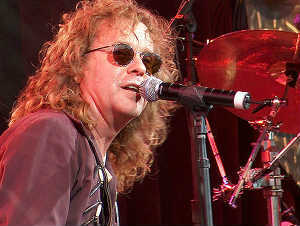 There are a lot of returning favorites, as well as new ones like Tiffany, Everclear, Maxi Priest, and Chaka Khan. 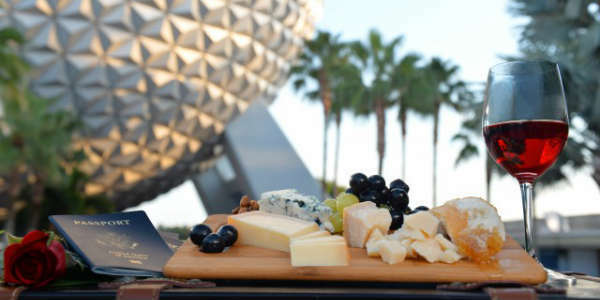 Yes, most people attend the Epcot International Food & Wine Festival at Walt Disney World for the food and beverage samples. I, however, love to check out the great acts they bring in for the event’s Eat to the Beat concerts. The concerts, which are included with Epcot admission, will be at the America Gardens Theatre nightly at 5:15, 6:30 and 7:45 p.m. In addition to the opportunity to try out food from different countries, one of the highlights of the annual Epcot Food & Wine Festival is the Eat to the Beat concert series. Each night, guests at Epcot can enjoy live music at the America Gardens Theater from acts that had hits in the last three decades, mostly concentrating on the 80s and 90s. Of course, the schedule is subject to change, but if you like to plan your visits to the fest to coincide with a fave musician or band, this is the complete line-up as of right now. There are quite a few I’d like to see from this list. How about you?